2003. 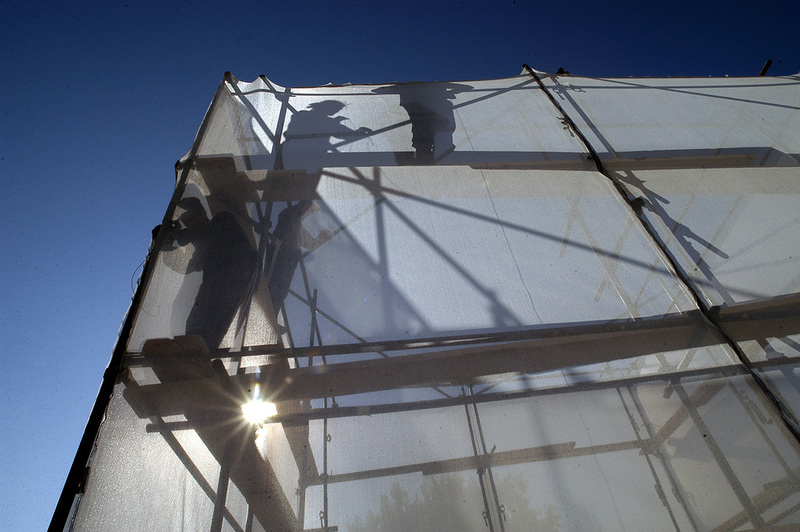 Scaffolding system, screen. 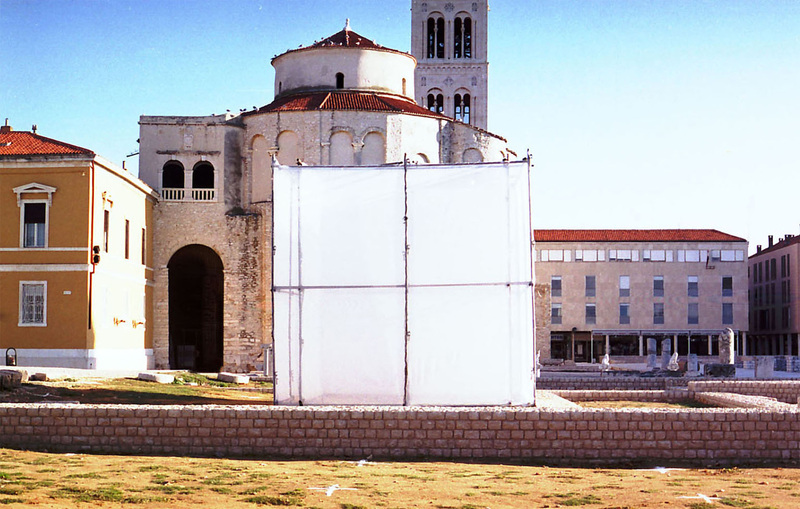 6 x 6 x 6 m.
The installation site underwent several historical transitions: in Roman times it housed a Forum and in Christian times, three highly important churches and an episcopal complex. 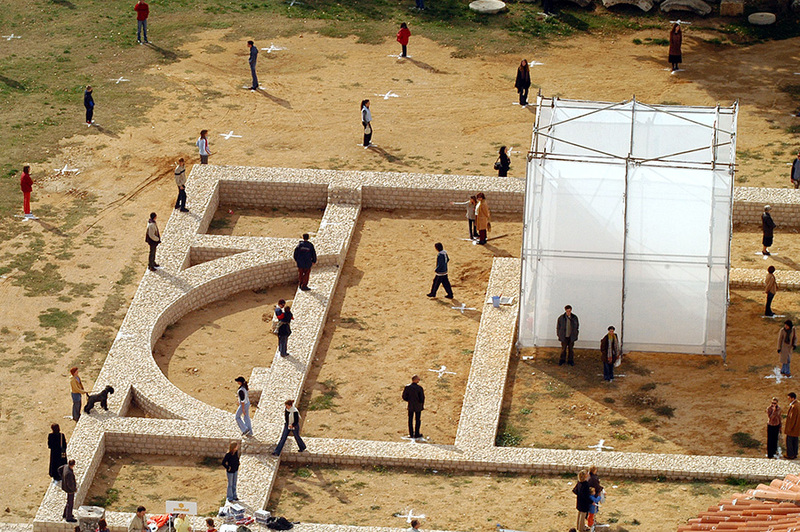 At the time of installation, it existed as an undefined space. 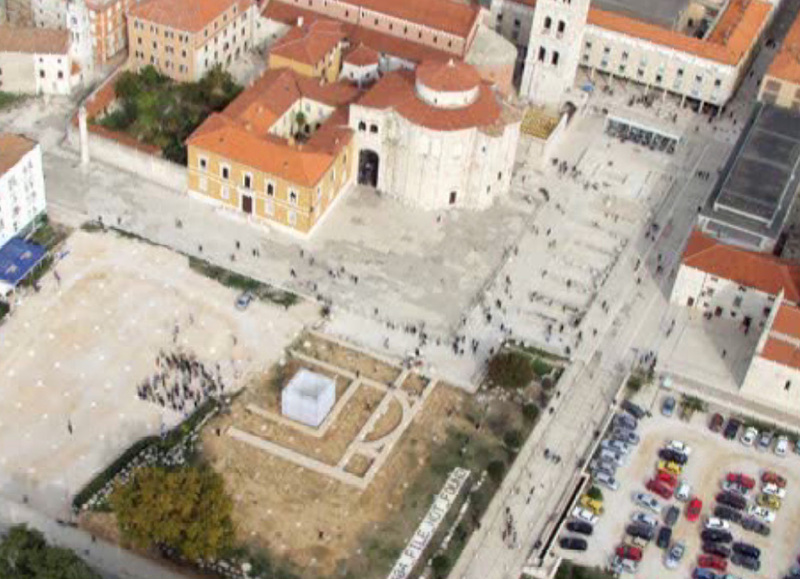 The Construction Site installation was built in the position of the former basilica, more precisely inside of it’s plan, as a temporary framework for construction of the object - without the object itself. 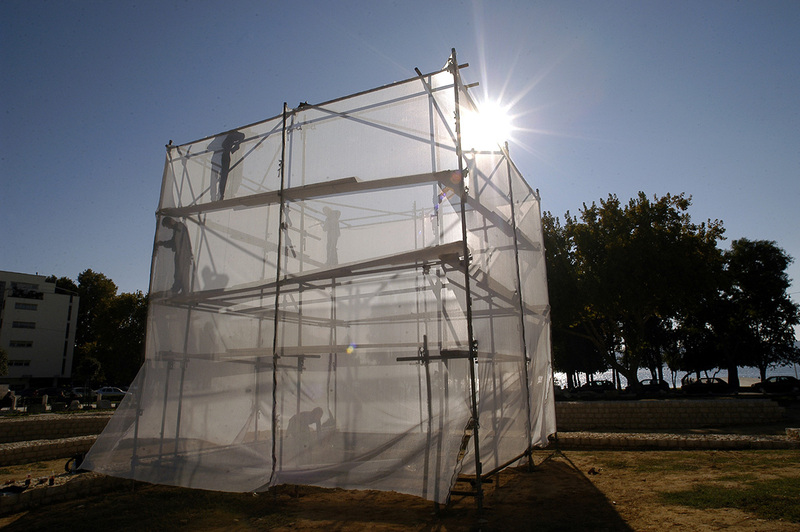 Scaffolding was installed to form a cube and covered with a white screen (commonly used for construction work). 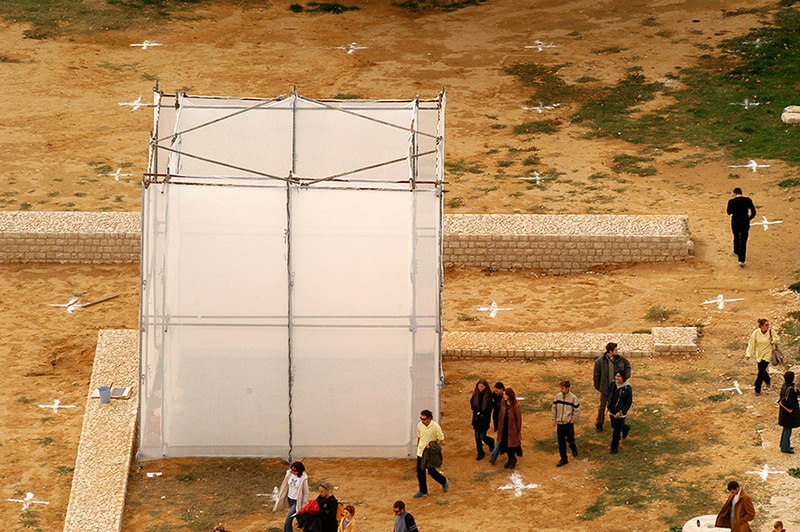 The inner space of a cube was closed from entrance and from view. The absence of content and purpose of the site opened a space for the observer’s subjective projections resulting from mental processes of questioning the possibilities for the objects’ actual employment.